Matte is the new black. 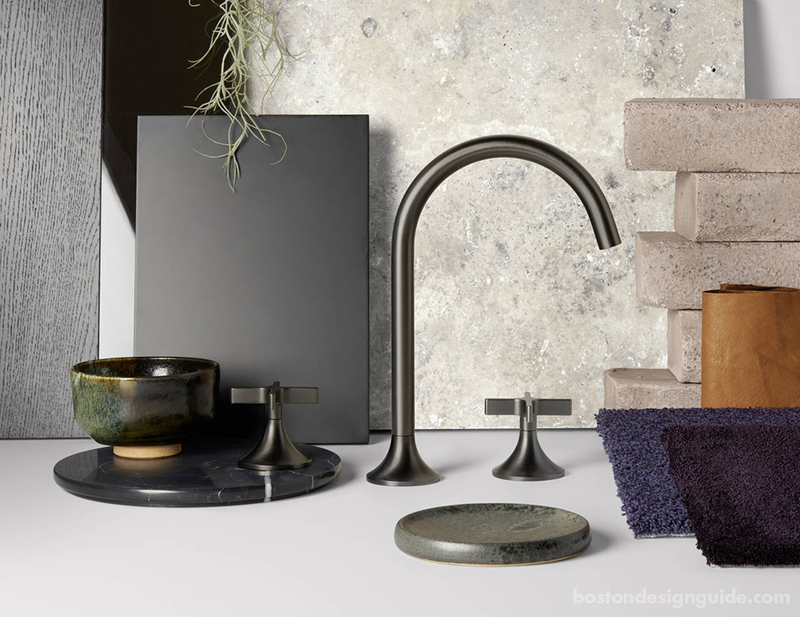 Homeowners and interior designers are thinking beyond brushed nickel and chrome and asking for matte black, as well as brass and bronze shades for their bathroom fixtures. 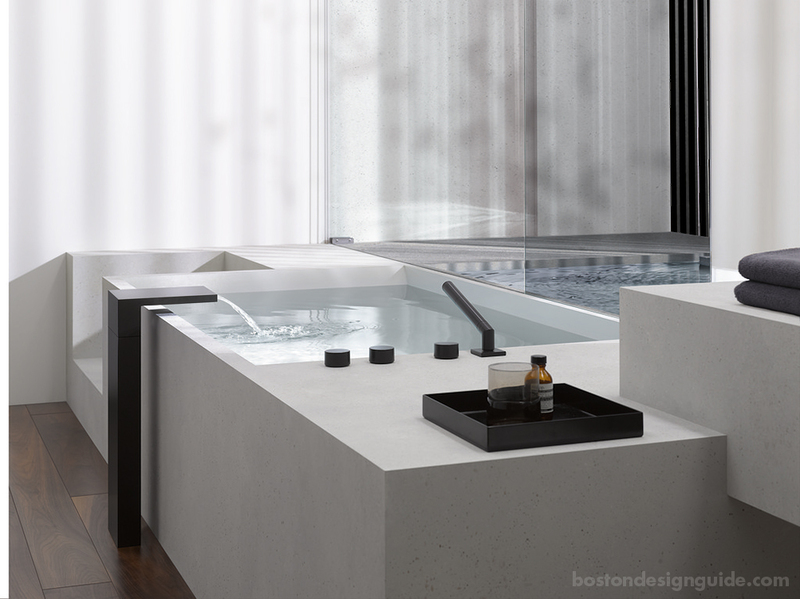 Our sources at Splash, a boutique kitchen and bath showroom, contend that even the manufacturers who didn’t venture there before are diving into special finishes. Homeowners are relishing the new looks and often mixing metals for an interesting, multilayered effect. These days, master baths and powder rooms are looking more and more like an extension of the living room, with rich textures and furniture-style vanities. Soft gray seems to be the new neutral, says Donna Zinckmoore, Splash’s Director of Retail Operations. 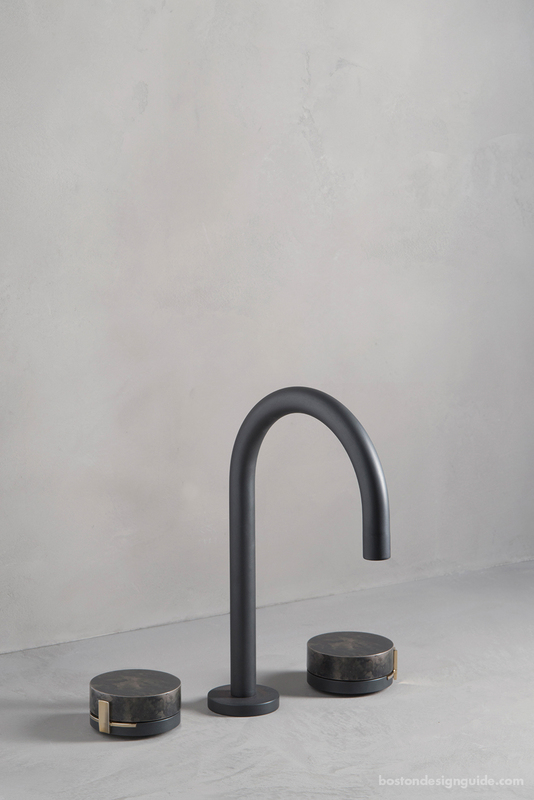 The quiet color is divine when paired with luxe textures, cerused vanities and edgy jet-black faucets and hardware.